BMW M4 in for a Gtechniq Single Stage Detail with Gtechniq Crystal Serum and EXO V2. The monster that is the BMW M4 in for a Gtechniq Single Stage Detail with Gtechniq Crystal Serum and EXO V2. 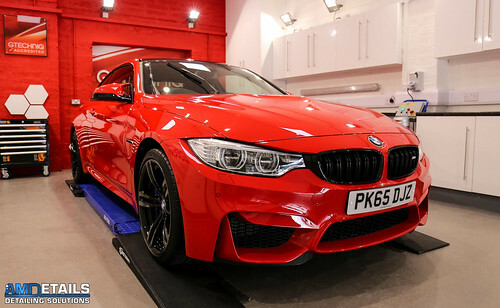 The customer managed to get this M4 on special order in a non M4 specific shade of red. making this a genuinely unique spec. 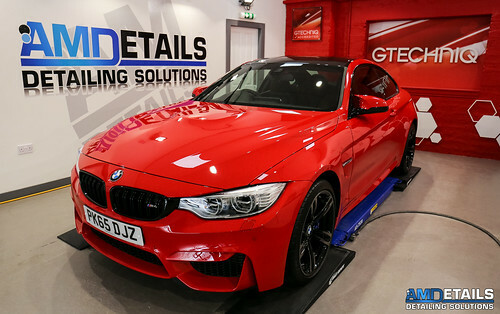 After the Single Stage Detail the BMW M4 was then protected with Gtechniq Coatings.